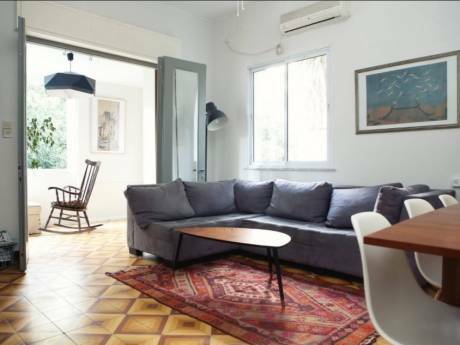 Our home is your perfect choice for a relaxing vacation in TLV. 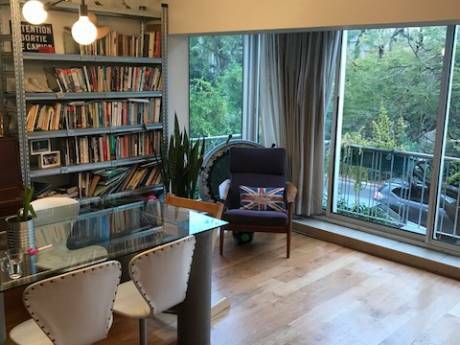 A lovely mini penthouse apartment with a large MBR + living room + small kitchen. The highlight is our wooden deck terrace surrounded with beautiful gardening and an upper roof viewing the city around. We're Carmel and Nati an architect and a Polygraph examiner. In the last decade we made a large new family after each's loss. Together we have seven children aged 19 to 37 and three adorable grandchildren. Two of our daughters live abroad NYC and Brisbane Aus. We live in Hofit a small village northren to Netania by the beach. We spend time in our TLV apartment while visiting our children and enjoying cultural activities. We love traveling around the world exploring new places and cultures as well as staying in cities for museums theatre etc. We are anxious to hear your offers! 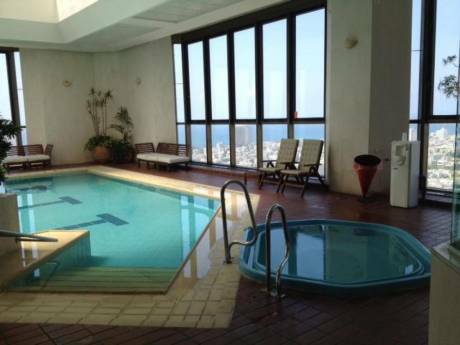 Located in northern TLV close to restaurants, cafes, pubs and night clubs area. Few min' walking distance from the beach TLV harbour and Hayarkon park. Public transportation available outside the building.